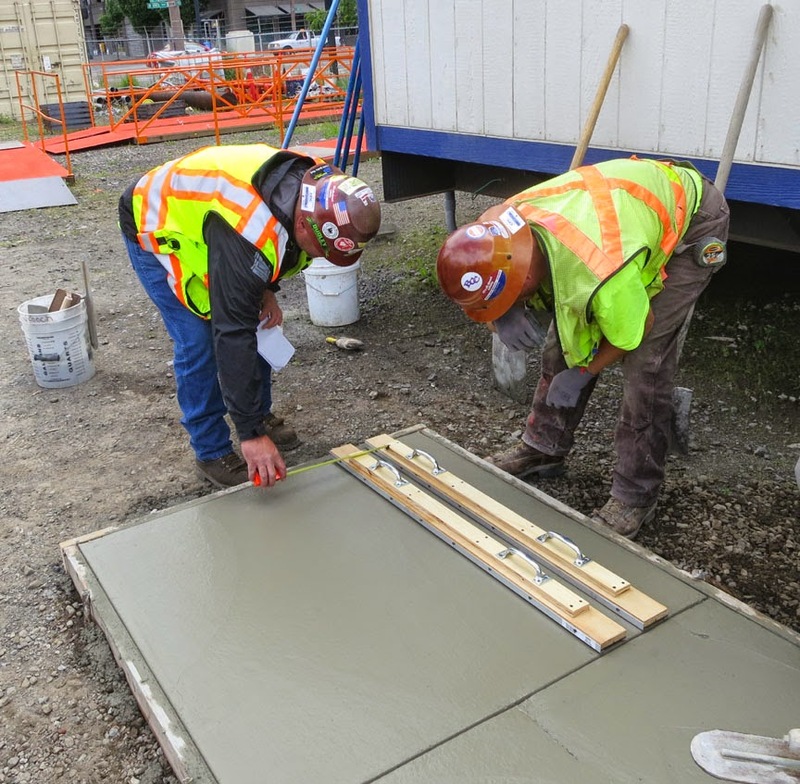 We’ve been busy working with TriMet and the concrete contractors to find the best locations for line stampings along the seven mile alignment. 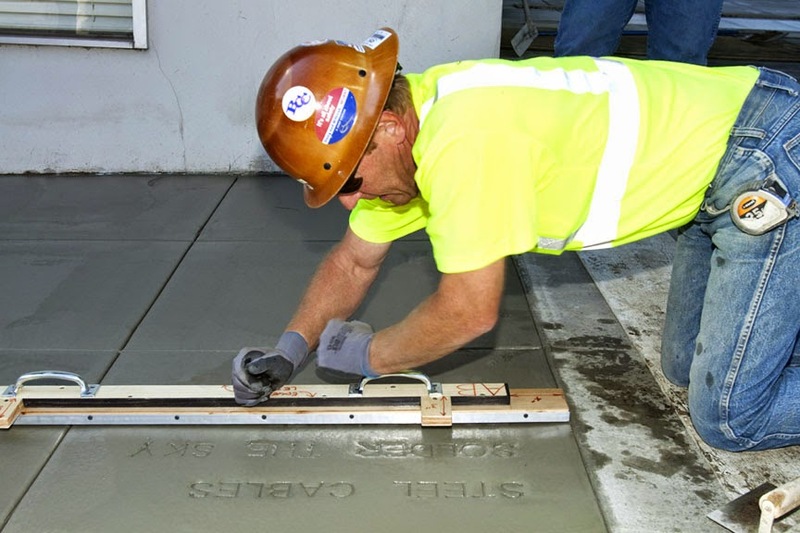 There are many issues to take into consideration when placing a stamp such as safety, readability, ease of construction and adjacent elements. Though the locations are all unique, one constant will be that the lines will be read while the reader is facing the light rail, keeping their eyes toward the prize. 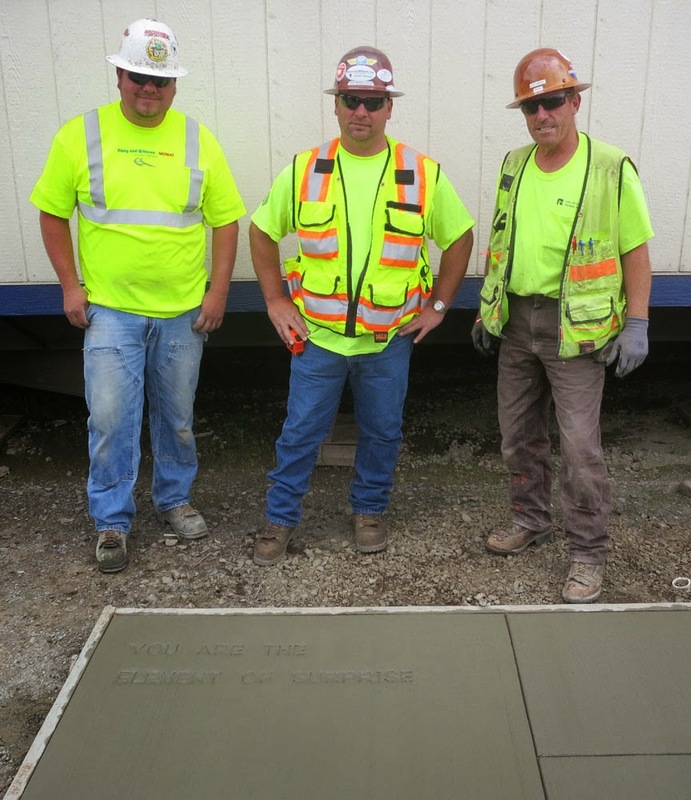 The concrete contractors working with us on the west side of the River are from Stacy and Witbeck/Mowatt. 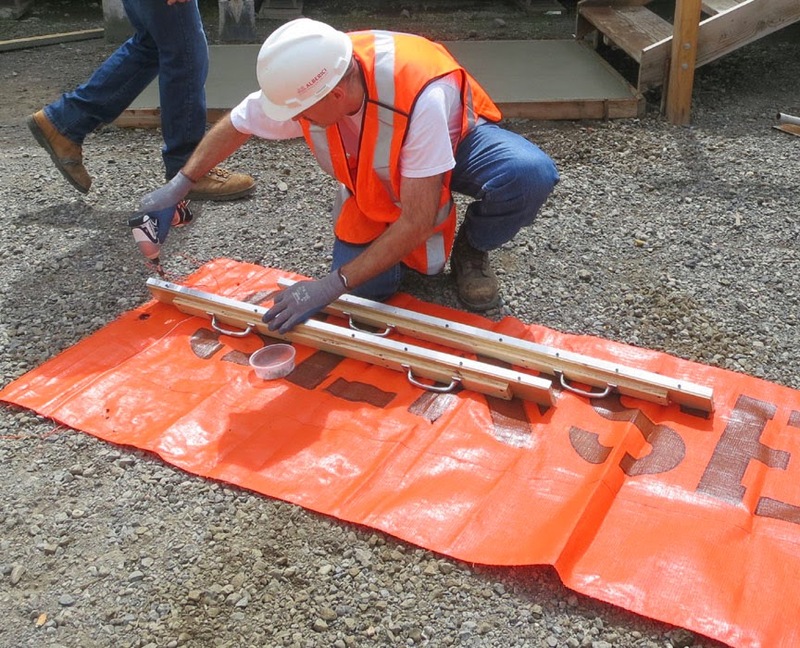 They have been great to work with, especially helpful has been Rick McCallister – the Project Manager. 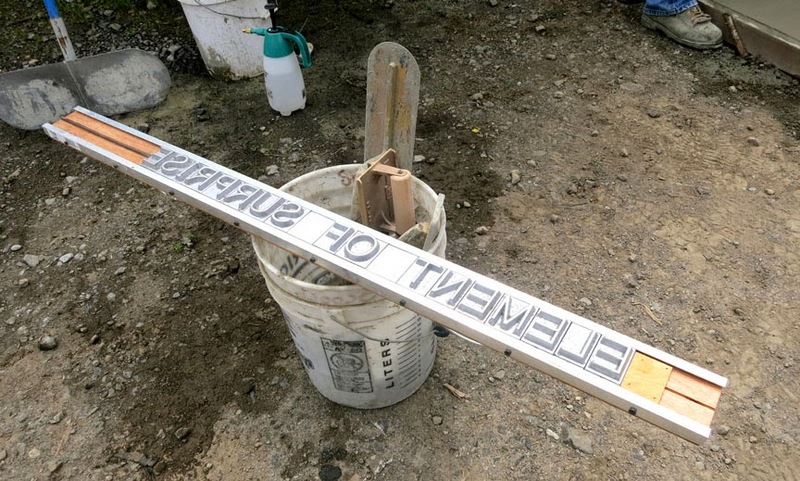 Below are some photos of a mock-up stamping that Rick and friends did at their construction yard a few weeks ago to make sure the process would work out well once construction began. A line of a line, ready for stamping. 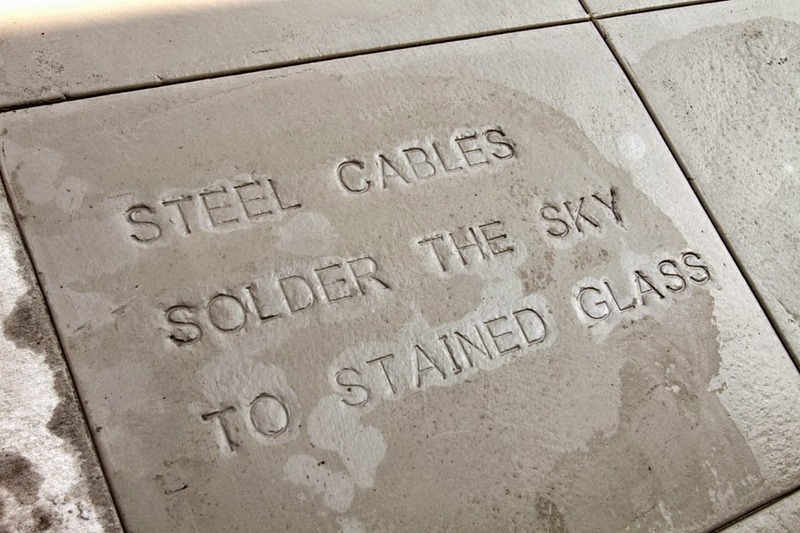 Ken Wiesler, architectural designer and fine craftsman built the stamp holders for the project. Rick and Scott setting the stamp holders in place. 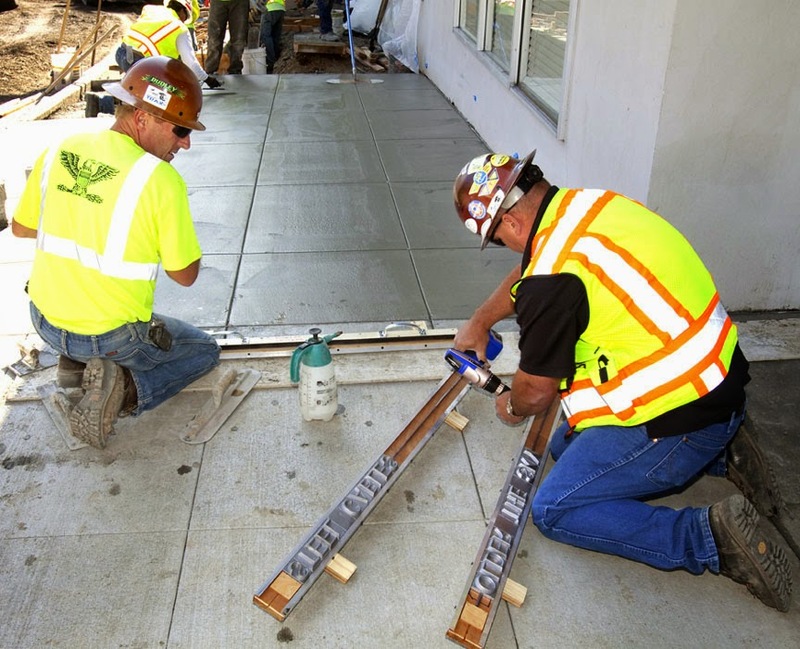 A mason applying a broom finish to the concrete after stamping. The mockup stamping dry, one week later. The first actual stamping has also taken place. It’s located on SW Lincoln at SW 5th. 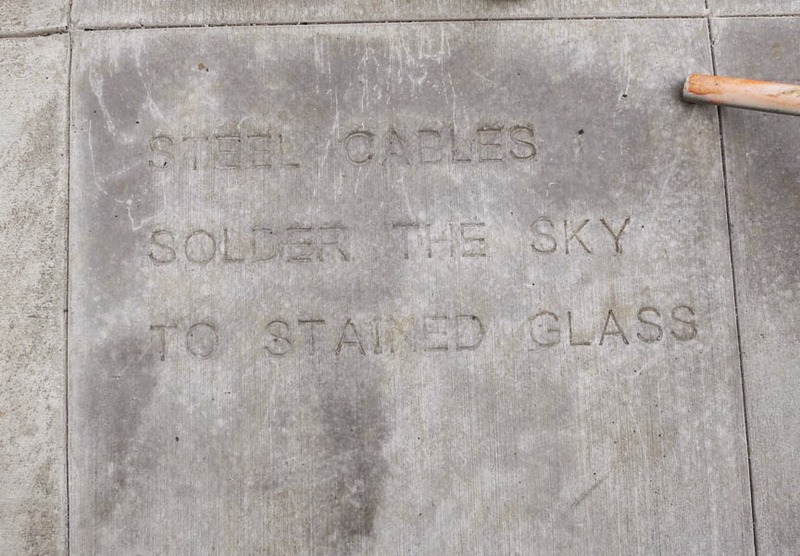 The line is “STEEL CABLES SOLDER THE SKY TO STAINED GLASS”, by Ayelet Amittay. 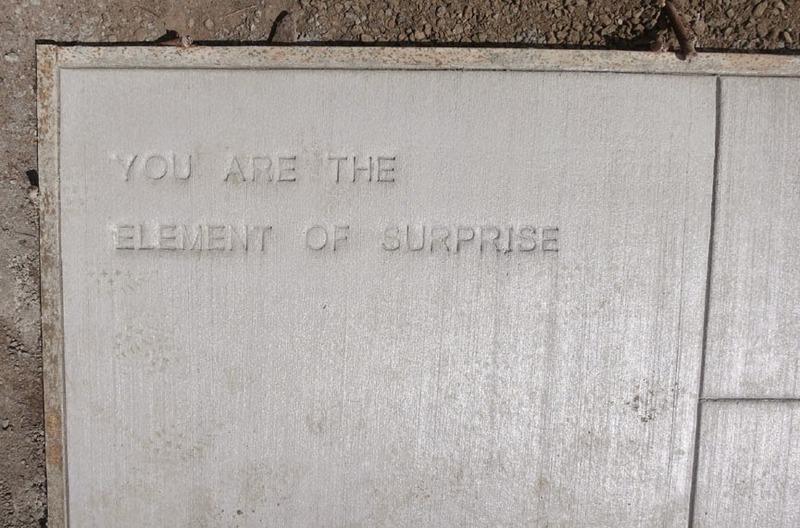 Below are some photos of the installation and stamping. We’re excited to be moving ahead and have learned quite a bit from the mock up and first stamping. We’ll be adjusting our process to try to get a crisper impression but on the whole we think the stampings are looking great. Rick McCallister and Scott, preparing to stamp first line. 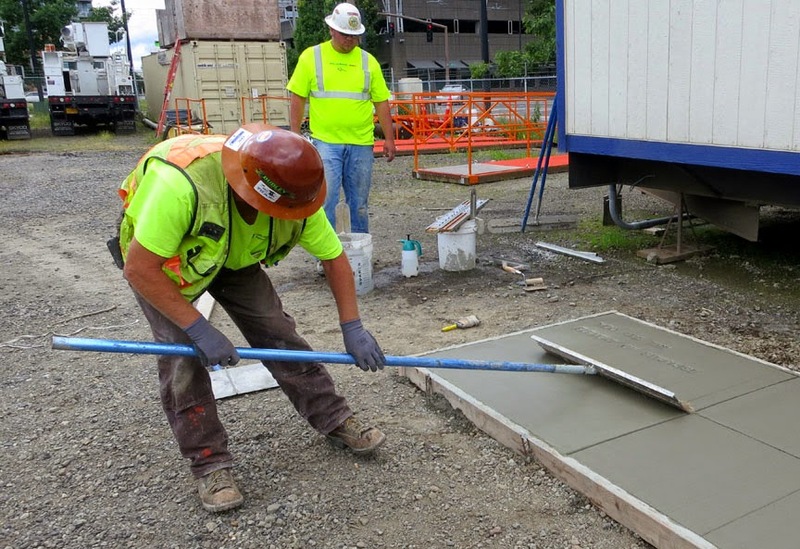 Scott, a concrete mason, stamping the first line. The first stamp while wet. The first stamp a week later, dry. The work at hand is to create detailed typesetting and location drawings for each of the 120 stamping locations. It’s a big and time-consuming task but the more we consider and prepare ahead of time, the more time and headaches we’ll save in the long run. We’ll be uploading the drawings eventually in order for you to see which line is going where. Stay tuned.